Control mechanical frames in the fight against corrupted machines. 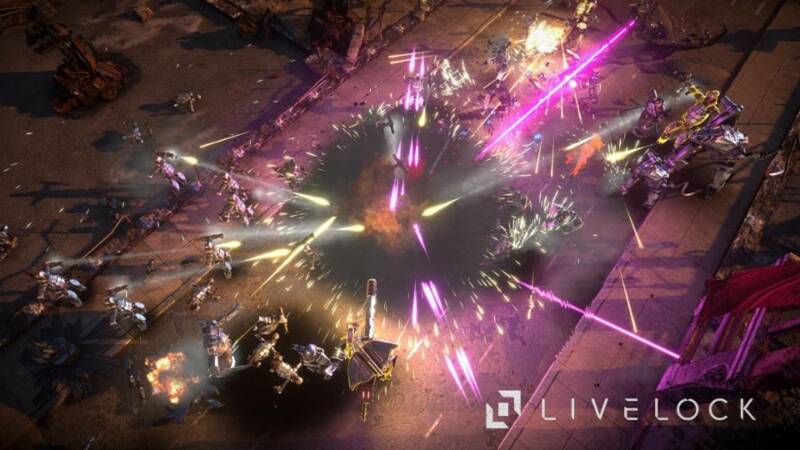 Arc Games, previously known as Perfect World Entertainment of Neverwinter fame, will be releasing its next big title Livelock on August 2nd for Xbox One, PC and PS4. As the developer’s first non-free to play title, it will bring a Diablo-esque level of combat to the realm of co-op top-down shooters. Taking place in a post-apocalyptic world where humanity has been wiped out by a gamma ray, you take control of one of three characters – Hex, Catalyst or Vanguard – in order to defeat hordes of corrupted machines. Each has their own abilities, skills and roles during combat. Like Diablo, you can team up with two other players but enemies will increase in difficulty. With 22 missions, there seems to be quite the campaign to experience in Livelock. Check out gameplay from the PAX East build below. It offers a look at overall mechanics and classes plus some spiffy visuals. Livelock will retail for $20 on launch but a three pack can be obtained for $45 through Arc’s site.